"I Can Only Imagine" is the best-selling Christian music single of all time. The movie (of the same name) was recently released in theaters in March and is the third-highest grossing music biopic of all-time in the United States. I didn't get a chance to see the movie when it was in theaters but heard great things from friends/family and am looking forward to renting it and watching it with my oldest son. 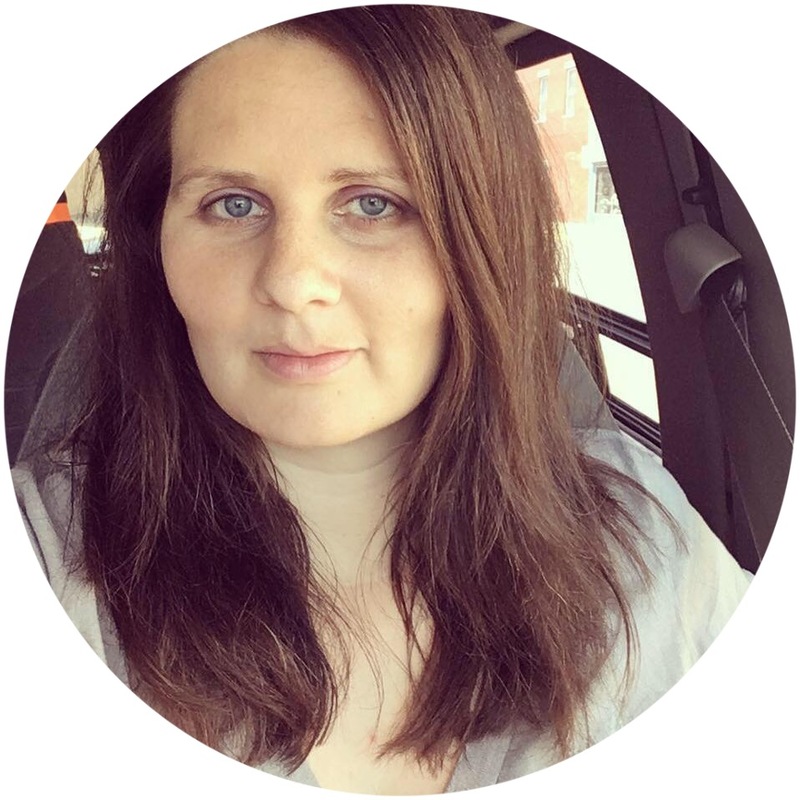 I was recently given the opportunity to review some of the small group curriculum based on "I Can Only Imagine." 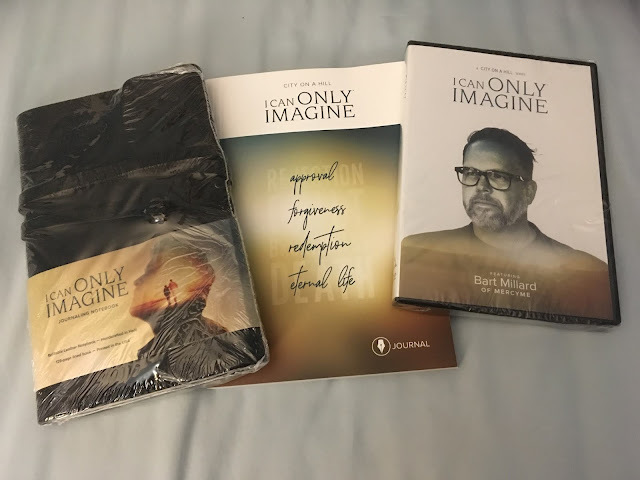 The small group curriculum includes a DVD, a copy of the Leader’s Guide with discussion questions for 4 sessions, and a copy of the 28 day I Can Only Imagine Journal. 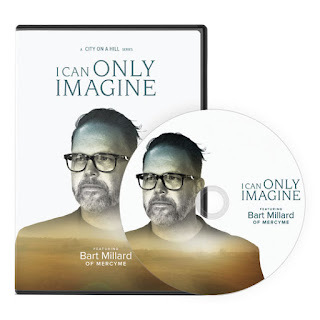 The DVD Video Series has four episodes and features Bart Millard, the lead singer of MercyMe. Bart shares his testimony of redemption and hope, along with the lessons God has taught him. The DVD contains select scenes from the I Can Only Imagine movie. Each episode is approximately 12 minutes long. The devotional that I got to review is a 28-day study of Jesus’s life and his ministry. It works as a standalone study or as a participant’s guide for the I Can Only Imagine Video Series on the DVD. It goes through the Gospels and looks into Jesus’ encounters with different "broken" people. Each day includes scripture passages, questions to reflect on, and prayer prompts. I also got to review the Leather Journaling Notebook. Perfect for jotting down your thoughts and ideas on the study, it's very beautifully bound and includes special spaces to write in the date and page numbers. I have plans to gift it to someone I know who loves journaling! Interested in buying the study or learning more? Go HERE to enter to win a copy of the Bible Study! Or go HERE to purchase and use code frontgate10 to get 10% off the I Can Only Imagine Series and/or the Journal!